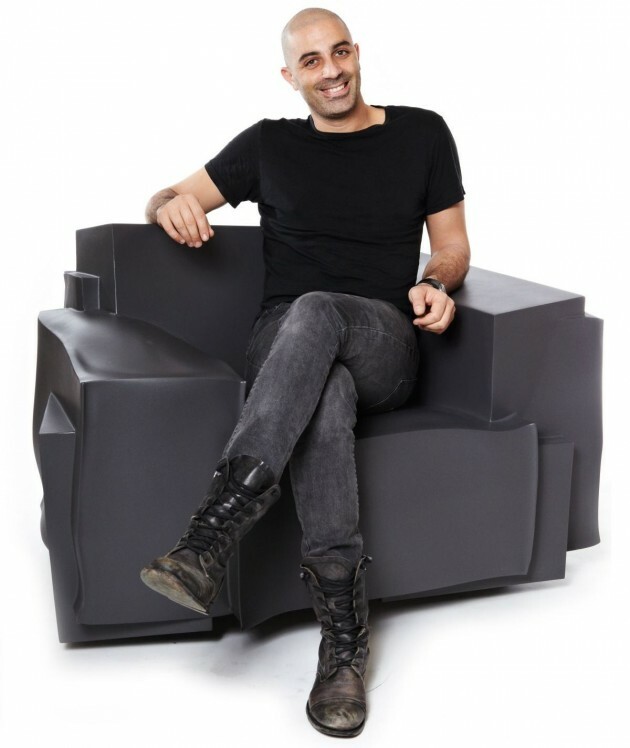 New York-based designer Dror Benshetrit has created the TRON Armchair for Cappellini. Cappellini and Walt Disney Signature present the TRON Armchair designed by Dror Benshetrit for Cappellini during Design Miami 2010. Cappellini introduces a special range of unique arm chairs, inspired by the soonto-be-released Walt Disney Pictures film TRON: Legacy. 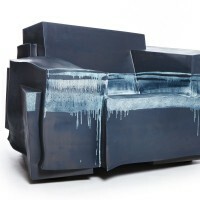 These armchairs will be individually hand-finished – each uniquely designed- by Dror Benshetrit who pays homage to the digital landscape of the Outlands terrain in TRON: Legacy. 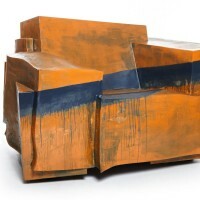 These collectible works of art will be presented in the Cappellini/Poltrona Frau Miami… showroom during Design Miami 2010, as an official satellite show of Design Miami from December 2 through Dec. 10, 2010. The TRON Armchair continues the collaboration between Walt Disney Signature and Cappellini, who jointly introduced a line of Disney-inspired limited-edition chairs at the Milano Design Village in April of this year. With both companies’ heritage steeped in innovation, collaboration and design, the Walt Disney Signature range continues to tell stories and inspires customers around the world. 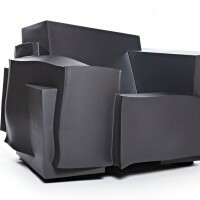 A prototype of the TRON Armchair constructed out of 100% recycled roto-molded plastic, with varying textual surfaces which will be massed produced and will make its official debut at the Milano International Furniture Fair in April of 2011 will also be on display. “TRON: Legacy” is a 3D high-tech adventure set in a digital world that’s unlike anything ever captured on the big screen. Sam Flynn (Garrett Hedlund), a rebellious 27-year-old, is haunted by the mysterious disappearance of his father Kevin Flynn (Oscar®- and Golden Globe®-winner Jeff Bridges), a man once known as the world’s leading video-game developer. When Sam investigates a strange signal sent from the old Flynn’s Arcade—a signal that could only come from his father—he finds himself pulled into a digital world where Kevin has been trapped for 20 years. With the help of the fearless warrior Quorra (Olivia Wilde), father and son embark on a life-or-death journey across a visually-stunning cyber universe—a universe created by Kevin himself that has become far more advanced with never-before-imagined vehicles, weapons, landscapes and a ruthless villain who will stop at nothing to prevent their escape. “TRON: Legacy” is directed by Joseph Kosinski and produced by Sean Bailey, Jeffrey Silver and Steven Lisberger. The story is by Edward Kitsis & Adam Horowitz and Brian Klugman & Lee Sternthal, and the screenplay is by Edward Kitsis & Adam Horowitz, based on characters created by Steven Lisberger and Bonnie MacBird. Presented in Disney Digital 3D™ and IMAX® 3D and scored by Grammy Award®–winning electronic music duo Daft Punk, “TRON: Legacy” hits theaters on December 17, 2010. Founded in 1946, Cappellini has become synonymous with contemporary, avant-garde design. Over the years it has launched some of the world’s greatest designers, producing innovative and high quality furnishings, and is particularly renowned for its skilled lacquering processes. 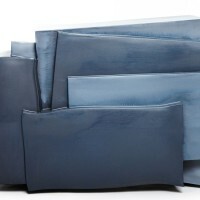 Products can be divided into the following collections: Collezione-comprises products made in collaboration with contemporary designers; Sistemi-focuses on the production of modular furniture and solutions for residential and office areas; Progetto Oggetto-entrusts international designers with the task of designing home furnishing accessories. 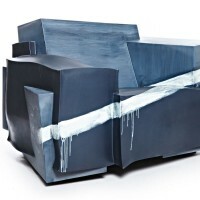 A number of iconic pieces are also exhibited in museums throughout the world – Victoria & Albert Museum in London, Museum of Modern Art in New York and the George Pompidou Centre in Paris; In 2004, Cappellini became part of the Poltrona Frau Group, a project piloted by the private investment company Charme set up by Luca Cordero di Montezemolo, which in 2006 listed on the Milan stock exchange. Cappellini is available worldwide. Its flagship stores are located in Milan, New York, Los Angeles, and Miami. Since 2002, Dror Benshetrit has developed an interdisciplinary practice specializing in innovative design projects. His portfolio encompasses product design, architecture projects, interior design, graphic design, and art direction. 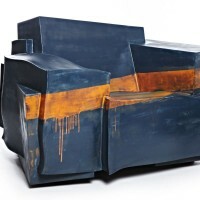 He received his education at the Eindhoven Design Academy in Holland. Dror has long been interested in the complexity of the manifold meanings and uses that intersect at a single object. Dror has lectured around the world and received numerous design awards including the GE Plastics Competition “Merging Boundaries” (2001), iF Product Design Award (2006), the Good Design Award (2008). He has gained international media exposure and has been widely exhibited. 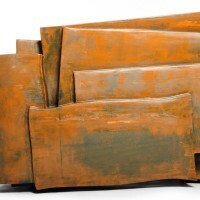 His work is included in the permanent collections of major museums in North America, Europe and the Middle East. Dror is represented by Culture and Commerce, Inc., an agency representing design luminaries including Yves Béhar, Philippe Stark and Marcel Wanders. Walt Disney Signature is Disney’s adult lifestyle brand created through a curated collection of aspirational products through collaboration with best-in-class designers and brands, using innovative ideas to evoke the emotion of Disney storytelling. The brand stems from the Fashion & Home line of business at Disney Consumer Products (DCP), a business segment of The Walt Disney Company (NYSE: DIS) that extends the Disney brand to merchandise ranging from apparel, toys, home décor and books and magazines to foods and beverages, stationery, electronics and fine art. Walt Disney Signature began with home furnishings and has expanded to include outdoor furniture, entertainment units, rugs, wall décor, tabletop products, clothing, jewelry, stationery, and candles. Walt Disney Signature product is available at independent and specialty retailers across the globe and online.